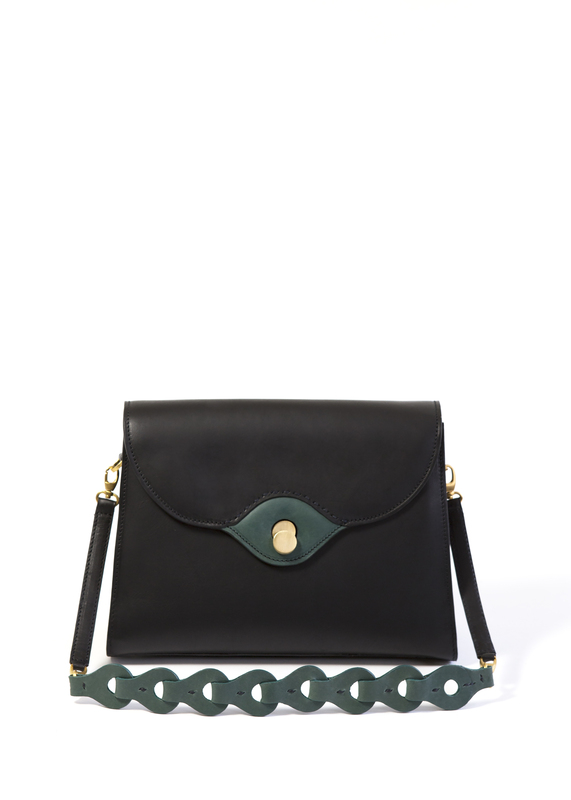 The Ondina Orchidea bag is the perfect sized bag to carry all your belongings to the office, to a dinner invitation or a shopping day. 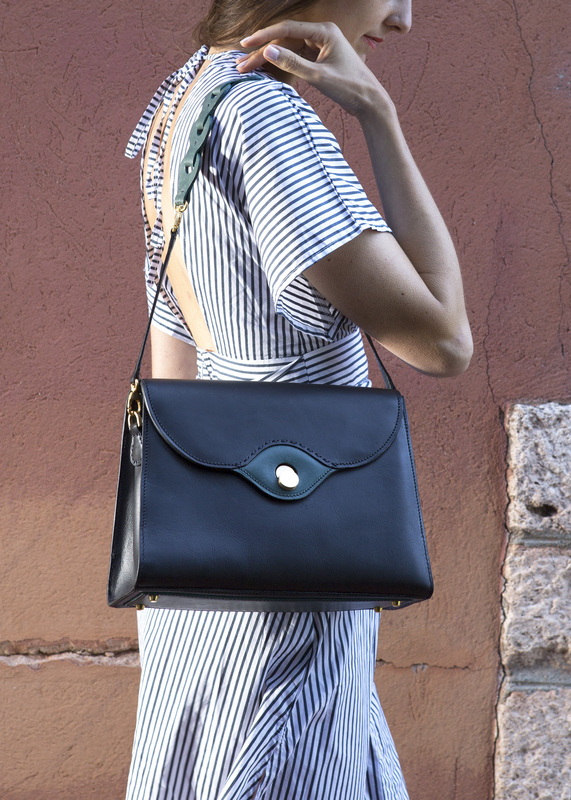 This elegant bag also offers flawless functionality: A zipped compartment for your wallet or Ipad, a pocket with a magnetic snap for your phone and five card holder pockets. 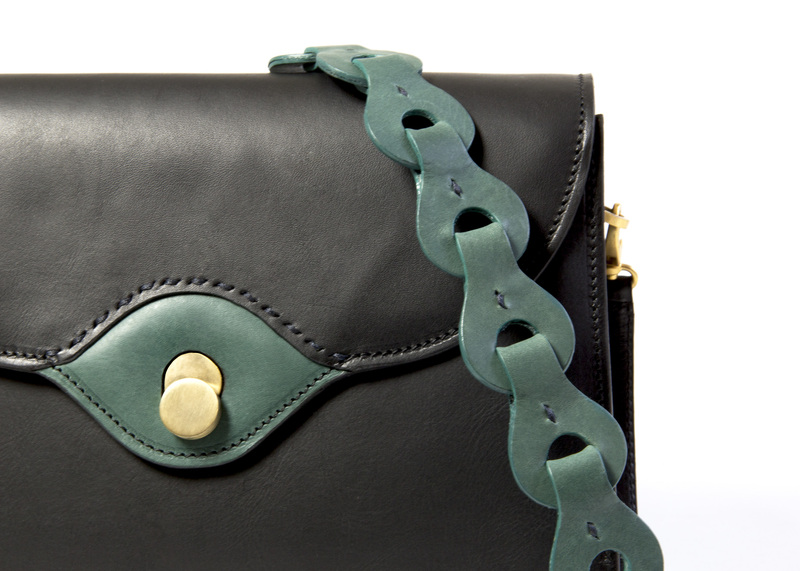 The flap is handstitched around the central eye and adorned with Lahara’s signature lock. You can add a monogram and choose your colour combination from our colour palette, made to order with a supplement of £75.